Don’t discount this little car based on its size alone. 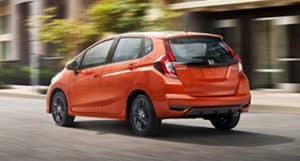 The Honda Fit is big on personality, practicality, and performance! 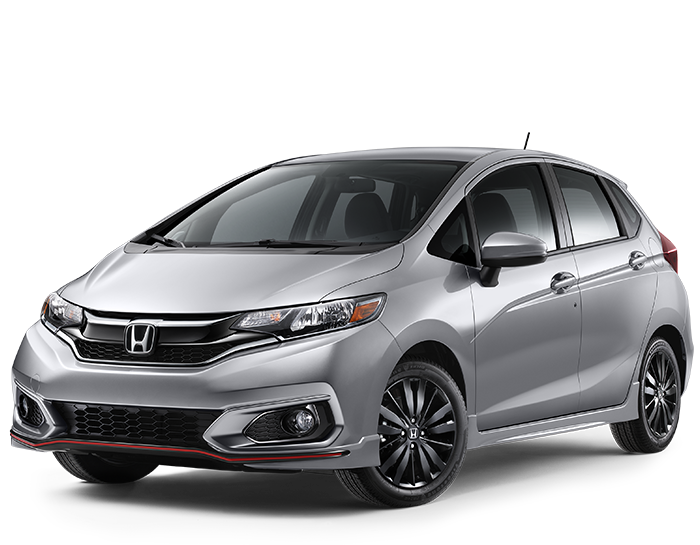 With a sporty, aerodynamic exterior, paired with a surprisingly spacious interior, the Fit is as fun as it is functional. For an ideal car for your commute Fort Collins to Longmont, or for a fun ride to get to your next adventure outside Loveland, the Fit is a great choice. See one in person at Markley Honda and read up on its litany of features. Packed into the Fit’s diminutive frame is a full-powered engine that will never you leave you wanting. The 1.5-liter four-cylinder engine boasts 130 Horsepower. Exercise control over your Fit with the six-speed manual or CVT transmissions. Despite the power, the Fit is incredibly fuel-efficient, meaning you’ll spend less time at the gas station and more time doing the things you love. The lightweight nature of the Fit means that you’ll zip around corners and turns, easily weaving through traffic in town on the highway alike. You might not think you could make a big move with a car as small as the Fit, but you’d be wrong! The Fit is a capable cargo hauler, with plenty of space in the back. The versatile second-row seats allow for a wide variety of storage options, maximizing your cargo space, while still ensuring your Fit has a small footprint. With seats up, the Fit offers 16 cubic feet of cargo space, expanding a voluminous 52 cubic feet when the seats are folded down. 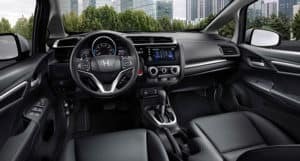 Not only that, but the Honda Fit has a variety of spots throughout the interior to stash small goods, like drinks, snacks, and other day-to-day essentials, making it easy to stay comfortable while you travel. The five seats can be folded into a variety of positions offer the chance to pack in your friends and family or stretch out when you need to. The Fit Offers four different seating modes, including Utility Mode, which offers maximum cargo space. Long Mode is great for hauling long items. Tall Mode offers up to four feet of vertical space. Refresh Mode blends front and back seats offering you plenty of space to stretch out. You’ll never hear your friends and family complain about a lack of space when they travel with you! 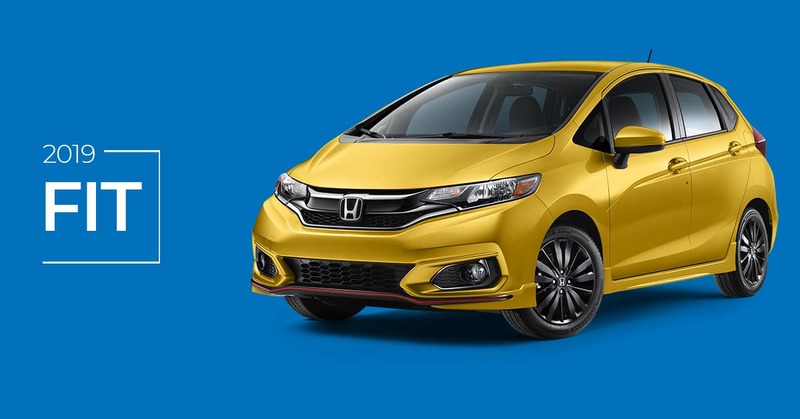 The Fit puts safety first with a variety of available Honda Sensing features. With Collision Mitigation Braking, Lane Keeping Assistance, Adaptive Cruise Control, and Road Departure Mitigation systems, one might argue that the Fit is the ideal commuter car. Not only that, but the Fit can be outfitted with Honda’s Satellite-Linked Navigation System to ensure you always know where you’re going. Connect your smartphone to the infotainment system through Apple CarPlay or Android Auto to enjoy all of your favorite features and tunes. Ready to spice up your commute? Looking to make driving fun again? Then it’s time to check out the Honda Fit. With its engaging engine, impressive storage capacity, luxury information and entertainment systems, paired with incredible gas mileage, you’ll be hard pressed to find a more enjoyable ride! At Markley Honda, we’re dedicated to helping you find the perfect Honda vehicle for you. It’s why we offer incredible financing options and then making owning and maintaining your new Fit is easy with our on-site auto glass shop and service department. Contact our sales consultants today to find out more about pricing and availability.